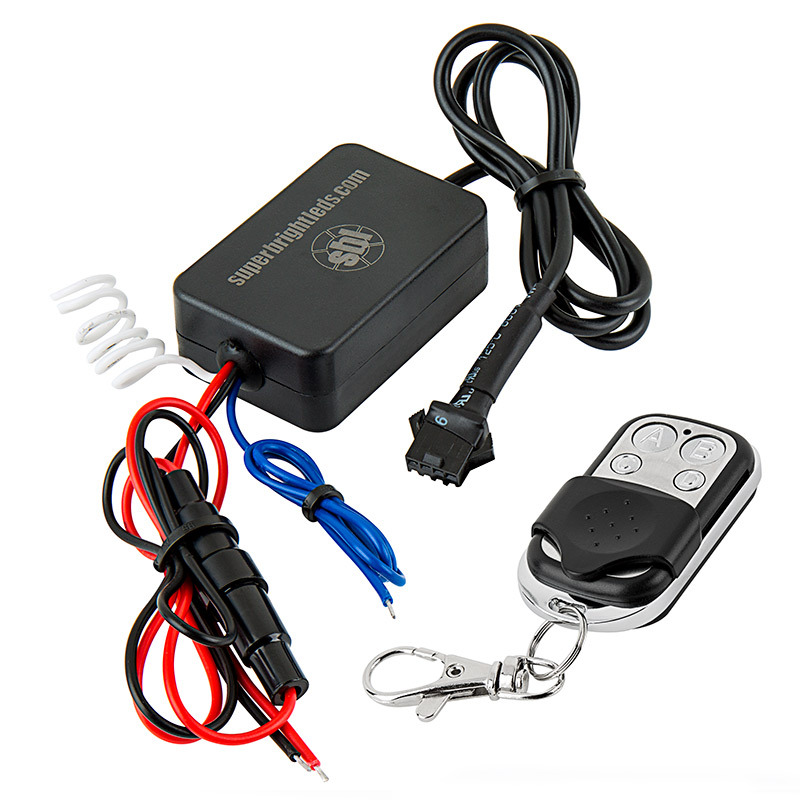 This RGB LED controller with wireless RF remote key fob is perfect for operating the RGB LED light strips on your motorcycle or vehicle. Choose from multiple dynamic color-changing or single-color modes with adjustable speed and brightness levels, and control your light strip from up to 33' away with the wireless remote. A brake override function allows the controller to interrupt color modes and activate only red while braking; power-cycle mode retention returns your light strip to the previous mode. Also use your light strip as a tail light by setting the controller to a dim red color; when brakes are applied, the controller will activate an intense red. The waterproof controller has a maximum load capacity of 1 amps per red, green, or blue channel and includes a 3-amp fuse in an in-line fuse holder. 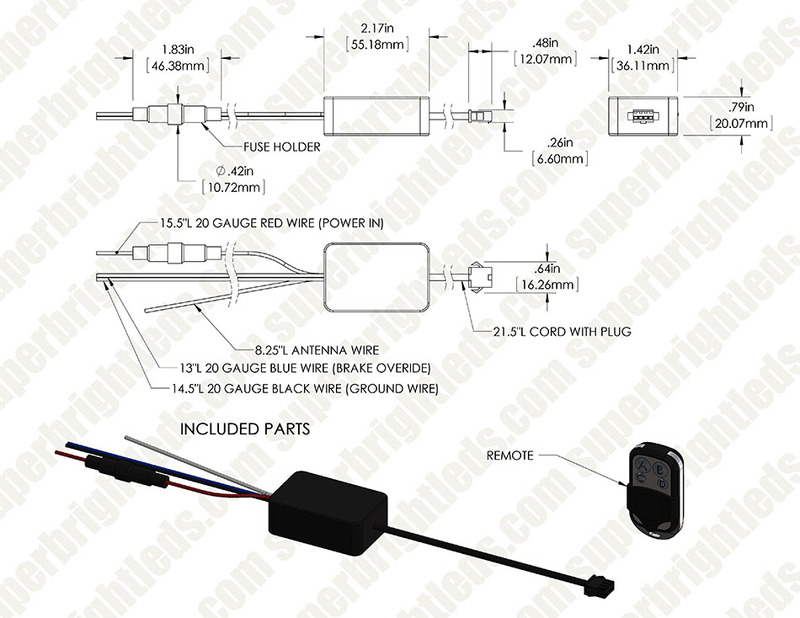 Compatible with LED light strips that operate within a 9-14.5 VDC range. A male LC4 locking connector easily plugs into the female connector on your light strip. 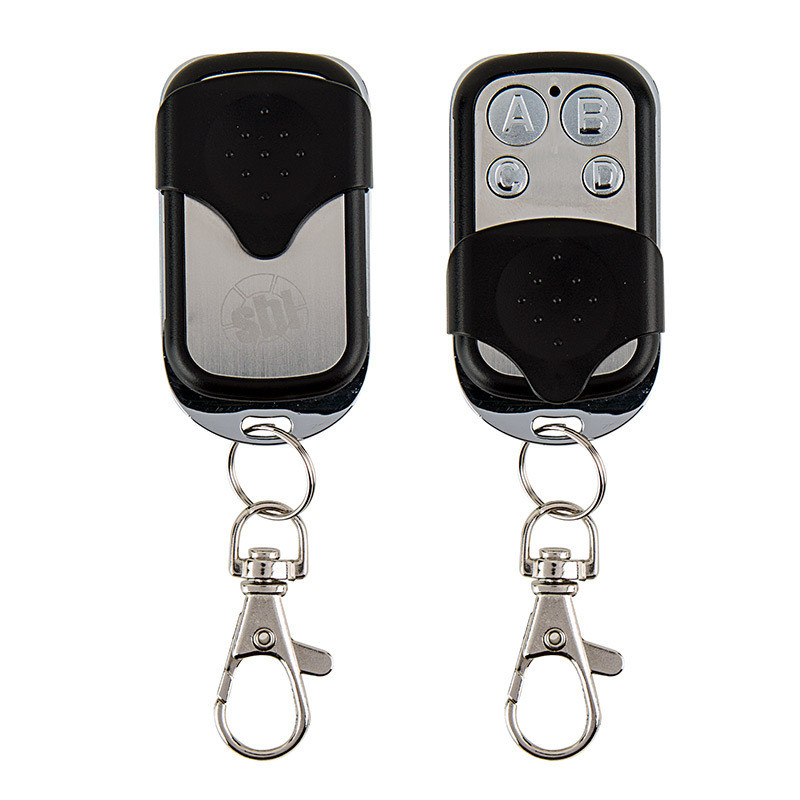 Pair multiple remotes with 1 controller. Includes remote battery. I bought the kit 3 years ago and never installed it until recently. Upon installation I could not get the system to work so I ordered this new wireless controller. After removing the old controller I connected the new one in the exact same manner and noticed I wasn't getting any power? To make along story short I put the ground to chassis ground and the positive to the negative battery terminal, real genius... Now I have to completely functional controllers, too bad the remotes are not universal. The lights are really super bright and the range of colors seems limitless. Female LC4 Locking Connector Cable for LED Strip Lights - 10mm RGB Strips - 7"
Male LC4 Locking Connector Cable for LED Strip Lights - 10mm RGB Strips - 7"